Synopsis: Ted Kramer’s wife leaves her husband, allowing for a lost bond to be rediscovered between Ted and his son, Billy. But a heated custody battle ensues over the divorced couple’s son, deepening the wounds left by the separation. Did You Know? As of 2014, Justin Henry remains the youngest person to ever be nominated for an Academy Award. At the time of his nomination, he was 8 years and 276 days old. Almost every movie you’ll watch about divorce will make a martyr of one party while vilifying the other party, and almost completely ignoring the effect it has on the children. 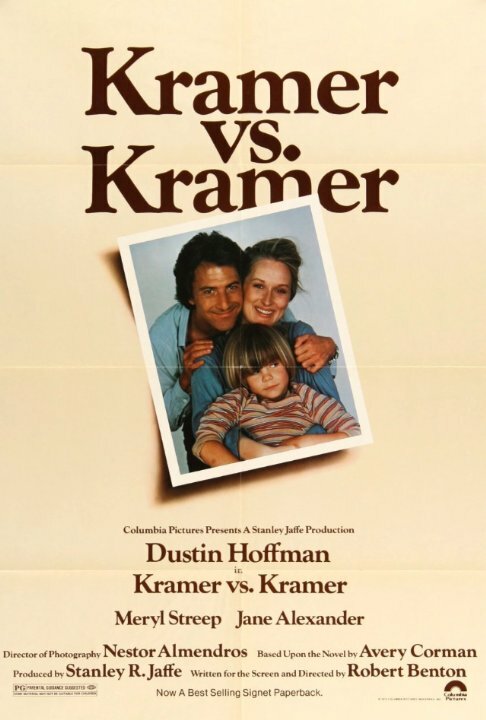 Kramer vs. Kramer doesn’t do that. Although it mostly focuses on Ted’s struggles with Joanna leaving them, we also get a clear understanding of exactly why Joanna left. We also get to see how the separation of his parents affected little Billy. Certainly one of my favourite movies, with excellent performances from the entire cast.